The 36th America’s Cup has been simmering nicely, with everyone treading carefully round the elephant(s) in the room. But it seems normal service is about to resume . . . and we mean normal America’s Cup service, and that normally involves writs and lawyers and lots of table thumping. Indeed the Malta Altus Challenge team lawyered-up with Dr Hamish Ross, who acted as legal and rules adviser for the successful Swiss Alinghi teams America’s Cup bids, for their recent arbitration request. The America’s Cup Arbitration Panel has since released its first decision, with a ruling on “nationality” that proved to be a very favourable ruling for Malta Altus Challenge, in that it said if a person have been issued with a Maltese passport, they could be a member of the crew. Thus basically providing an instant nationality route for whomever they wish to bring on board their team. Now it seems there are further complaints to the Arbitration Panel over the payment (or not) of Entry Fees by the three late entry challengers. A late, non-refundable payment of some USD$3million, plus a Performance Bond of USD$1million, should have been paid even before the late Challenges had been accepted. Also proving a point of conflict could be the Defender, Team New Zealand, agreeing to supply a basic AC75 design package to the three late challengers, for a fee, while the original challengers are starting from scratch. Even with this leg-up, the late Challengers look likely to miss the October event, if it happens, as they will likely only have their single boat in action by February 2020. And that is something that needs to be negotiated with the Defender and the Challenger of record, Luna Rossa. Carolijn Brouwer, potential helm of the Dutch entry, has said that their new CEO (Eelco Blok – Ed) and Simeon Tienpont, will be going to New Zealand next week to discuss those very points. 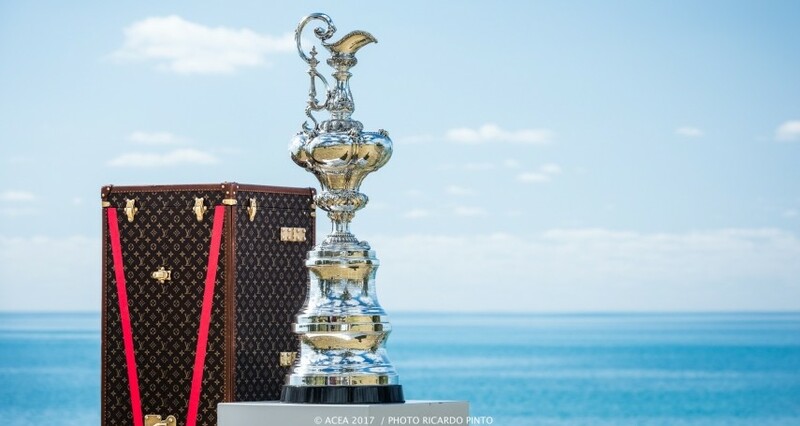 So what looked to be a smooth passage to the 36th America’s Cup, now appears to be heading into the traditional horse-trading and backbiting arguments of this long running historical yachting saga.